The information card is an element that is shown to the right of search results. 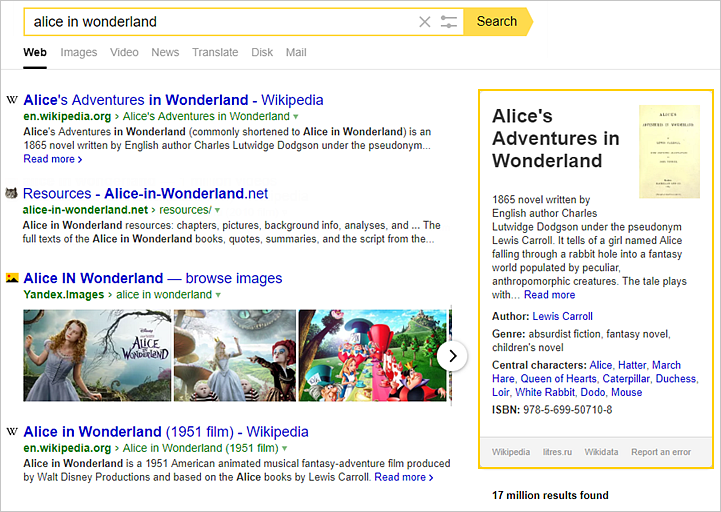 It is a card with an image and general information about the subject of the query, which is intended to answer your question directly on the search results page. Additional information might be included below the card, with content depending on the type of subject. For example, if you search for a movie, you will see its cast, and if you search for a city, you will see its major tourist attractions. The See also section provides information that is closely related to the query topic and that might interest you. In the lower part of the information card, you will find links to popular resources where you can get more detailed information on the topic you are interested in.